Do you like to vacation at the beach? If so, may I recommend these accommodations. 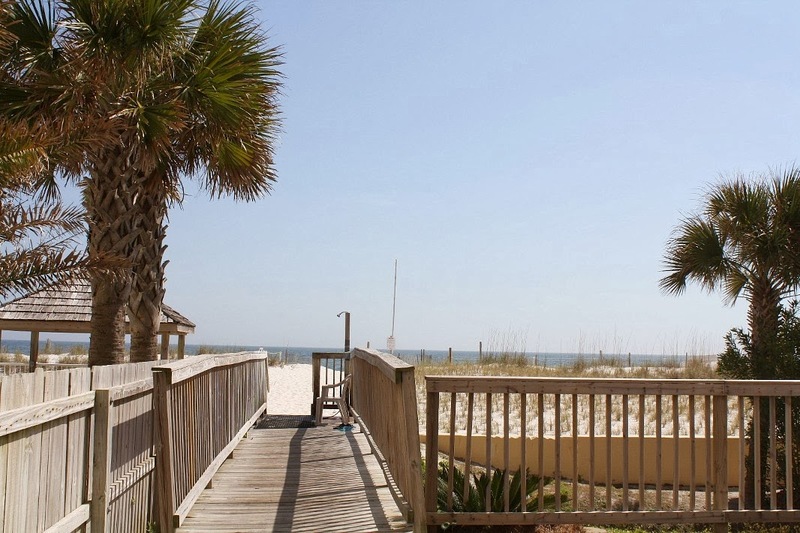 Did you know that my husband and I rent out our charming gulf front condo, located in beautiful Gulf Shores, Alabama? 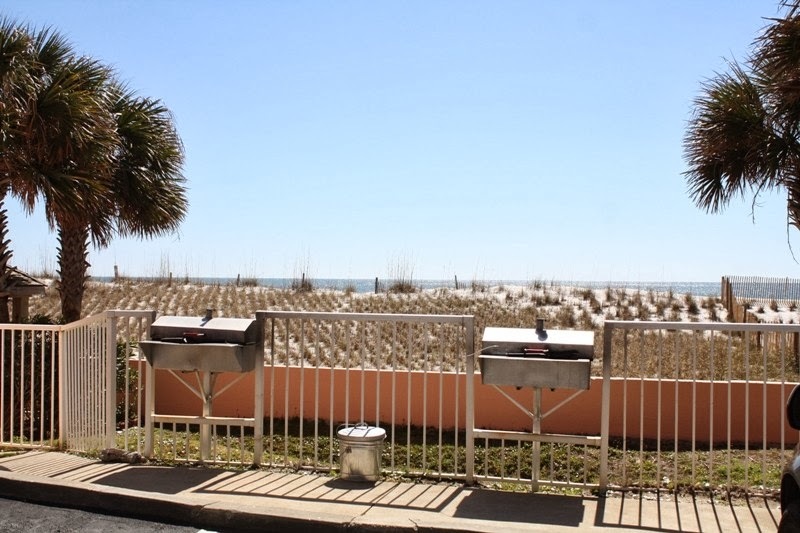 We purchased this beach condo in July 2003 and over the years, we have really enjoyed sharing our home with visitors from twenty two states. 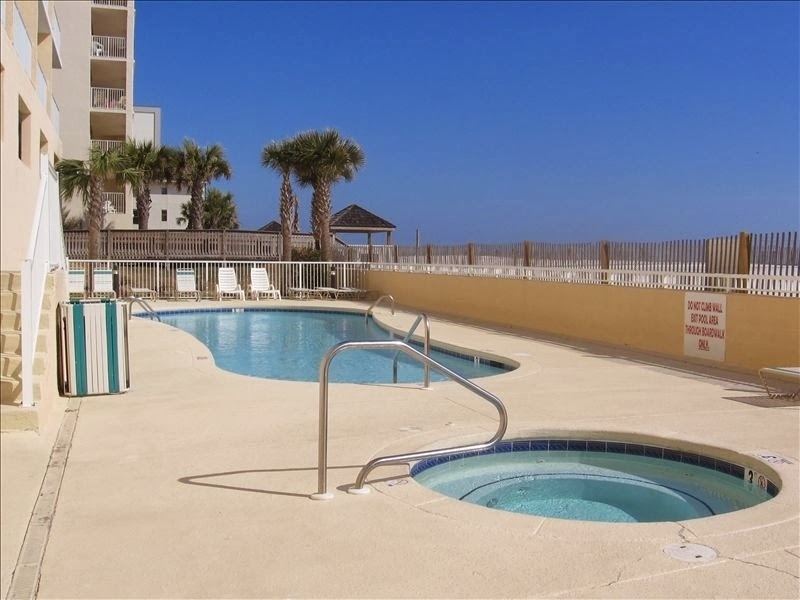 So, take a look and if you are interested in staying with us, you can e-mail us at coastal.charm @yahoo.com for rates and availability. 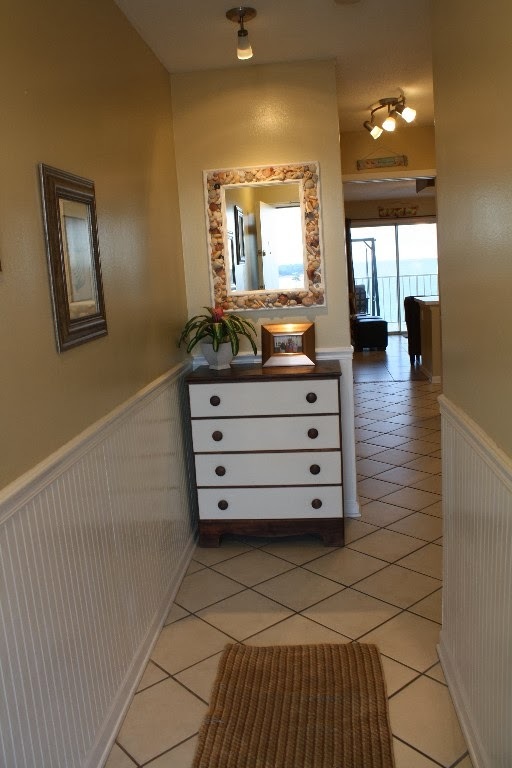 Welcome to our 'GULF FRONT' condo located at Seacrest Condominiums in Gulf Shores, Alabama. 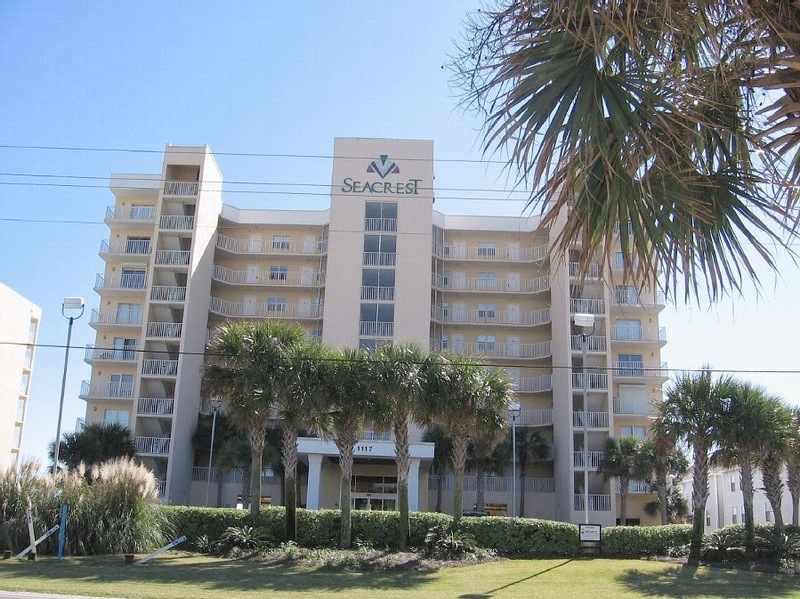 Seacrest is located in the heart of Gulf Shores, just minutes away from Orange Beach, Alabama and Perdido Key, Florida. 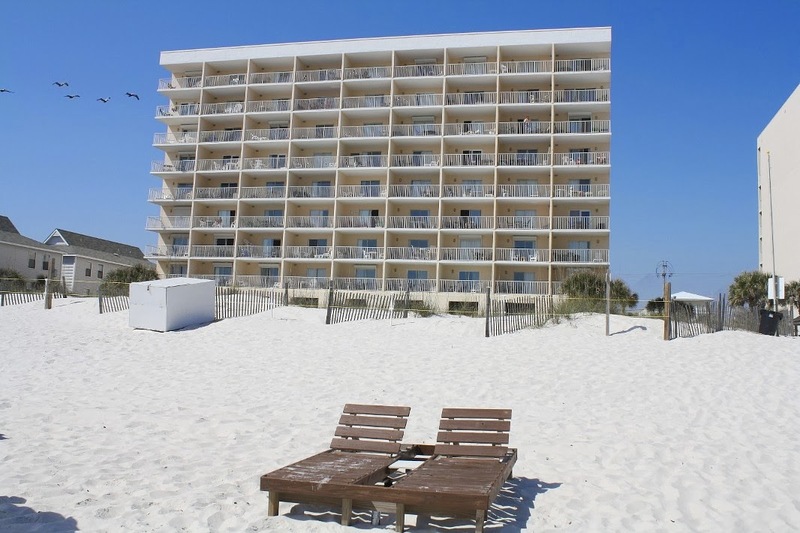 Gulf Shores is not overly populated, yet has everything you could desire. There are ten exceptional golf courses in the area. 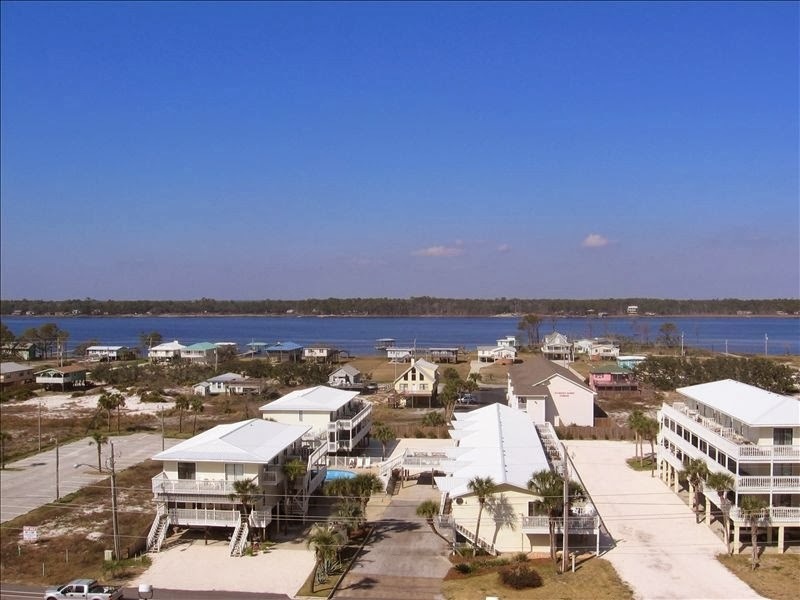 You can enjoy excellent offshore and inshore fishing, great restaurants, and fantastic shopping at our 120-store outlet mall and local upscale gift shops and boutiques. There are amusement parks, waterpark, and a ton of other activities the whole family can enjoy. The choice is yours! This is probably the most luxurious and best value priced one-bedroom gulf front condo you can find in the area. 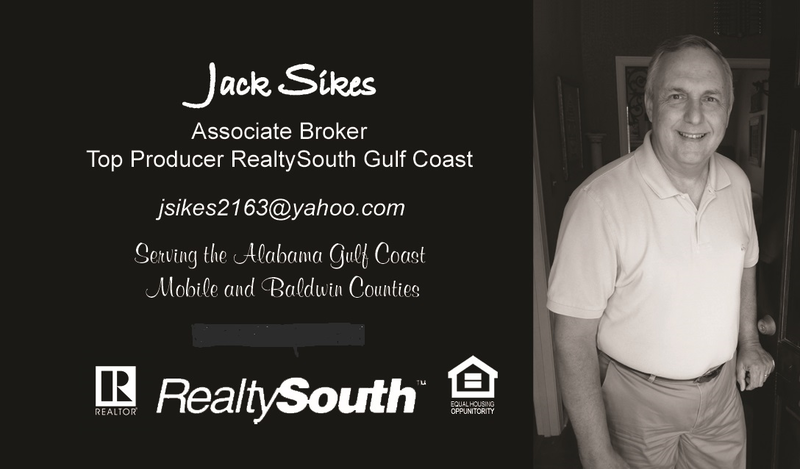 Half of our business is repeat or referral, we have been renting our home out since July 2003. We keep our rates low and as local residents, we see to it that our condo is in great condition at all times. 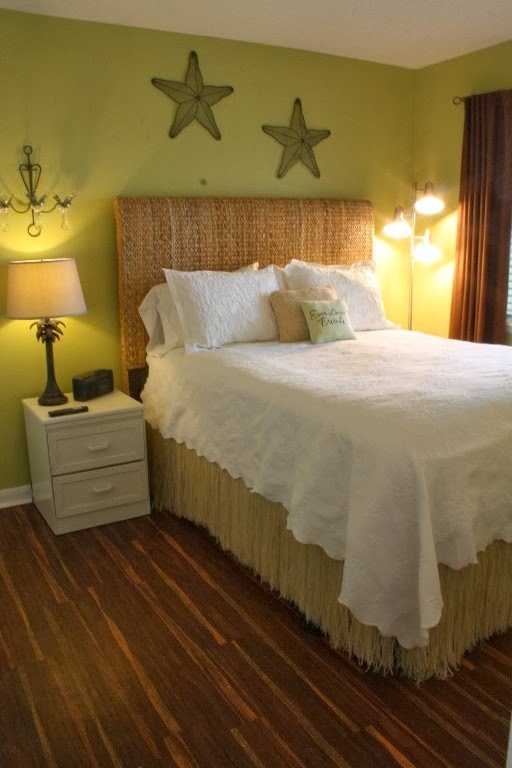 We've included many extras rarely found in beach rental condos to make our condo special and enjoyable for our guests. We have a library of guidebooks and area information in the condo for you to use. No expense is spared for your well deserved vacation. 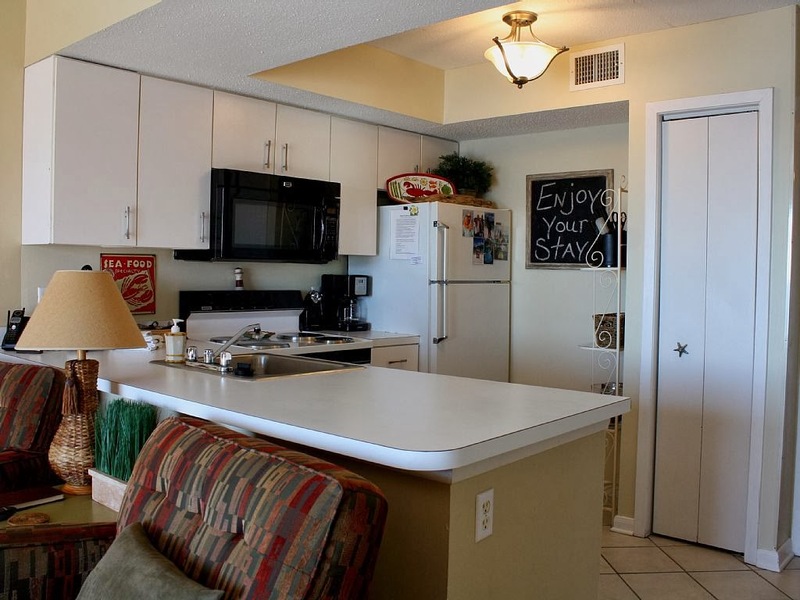 Our professionally decorated condo is perfect for couples or a small family. The layout is great for kids. There is a bunk area in the hallway (kids love the bunks!) that can be totally shut off from the rest of the unit. There is a pocket door between the bunk area and living area. A private bedroom with a queen bed, is located off the hallway. Why pay for a two bedroom condo, when all you really want is a place where you can put the kids to bed and close a door? The unit will sleep up to four comfortably. Reserve your week early so you don't miss out on staying in this popular condo. 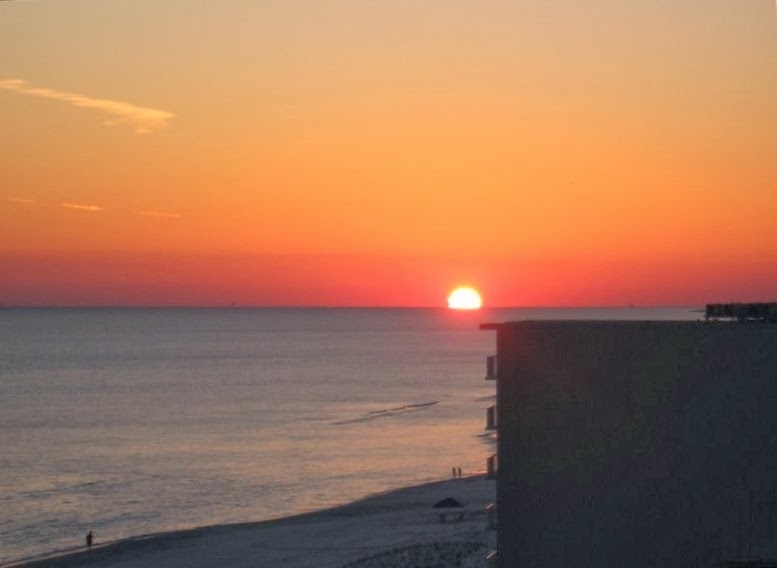 COME FALL IN LOVE WITH GULF SHORES, AND SEACREST #803!!!! 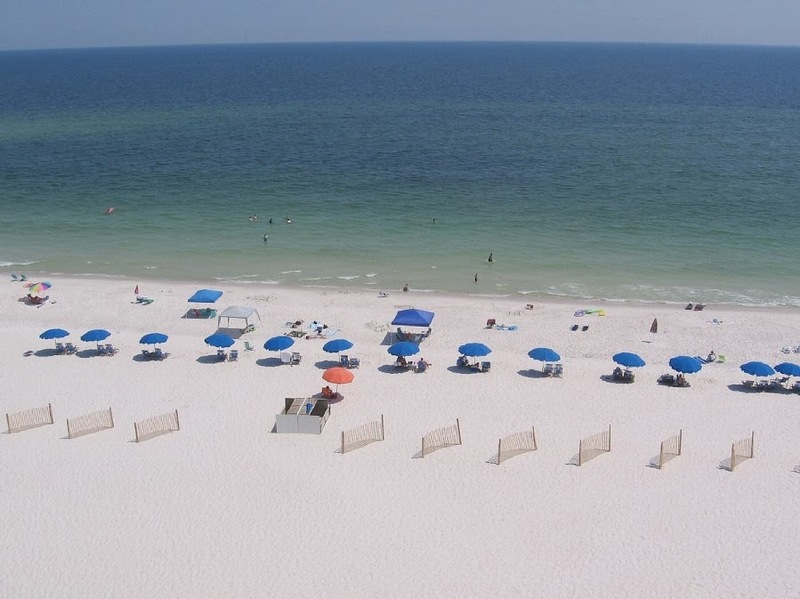 WHY STAY AT SEACREST #803? 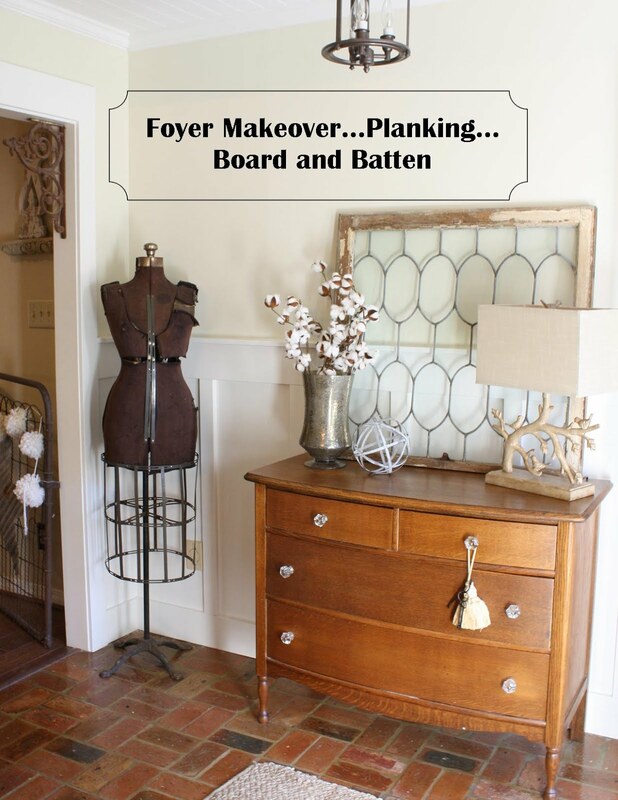 *$85 Cleaning Fee (not included in rates). *11% Taxes not included in rates. A Breathtaking View from Your Balcony! Rare Gulf Front Swing...Perfect For Dolphin Watching! While sitting here...you have an awesome water view. You also have a great lagoon view from the bedroom. 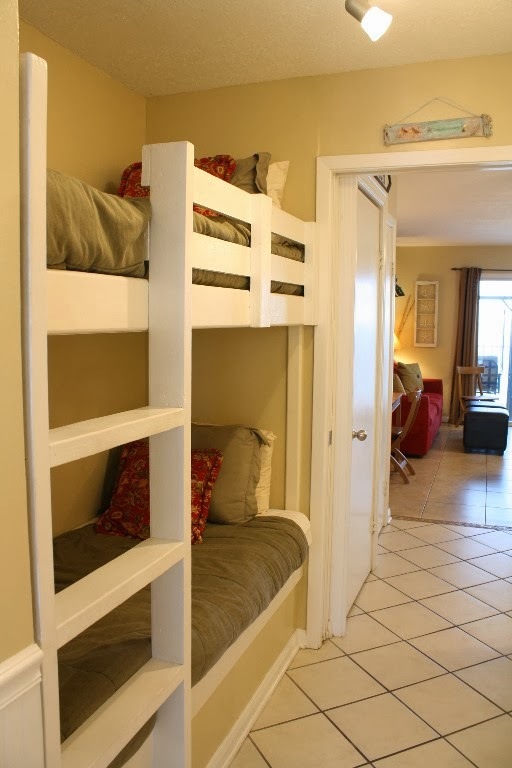 Bunks that your kids will LOVE!!! 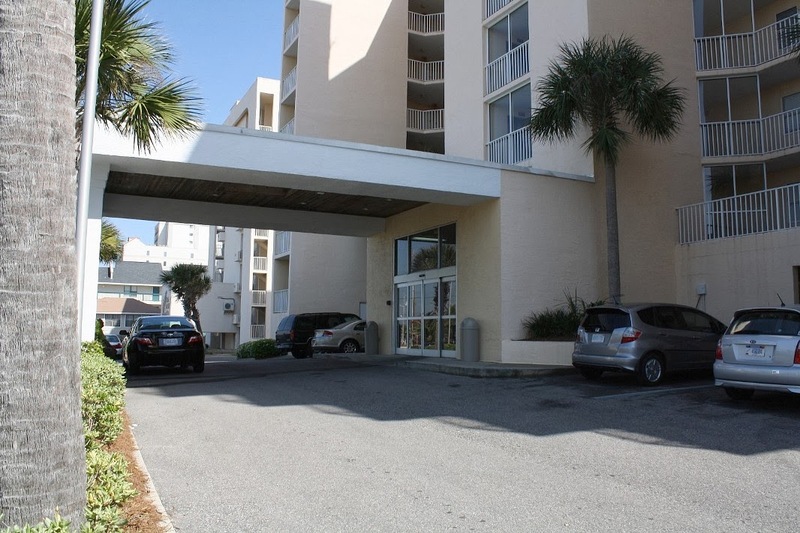 Located directly on the beach!!! Two new grills located on the west side of the complex. Beautiful views from the private balcony! Did I Mention Stunning Sunsets? What a way to end a perfect day at the beach! So pretty - and that VIEW! Wow! What a great place to vacation! I have never visited there, but hope to at some point and would love to rent from you...it's lovely! What a wonderful place to vacation and enjoy the beach! If we get up your way, will get in touch! Your place looks wonderful. We have place on the beach- South Padre Island and just love it. Surf and sun and sunsets, are the best, right? OMG what a gorgeous place!!! What a great post, and what a great place to stay. 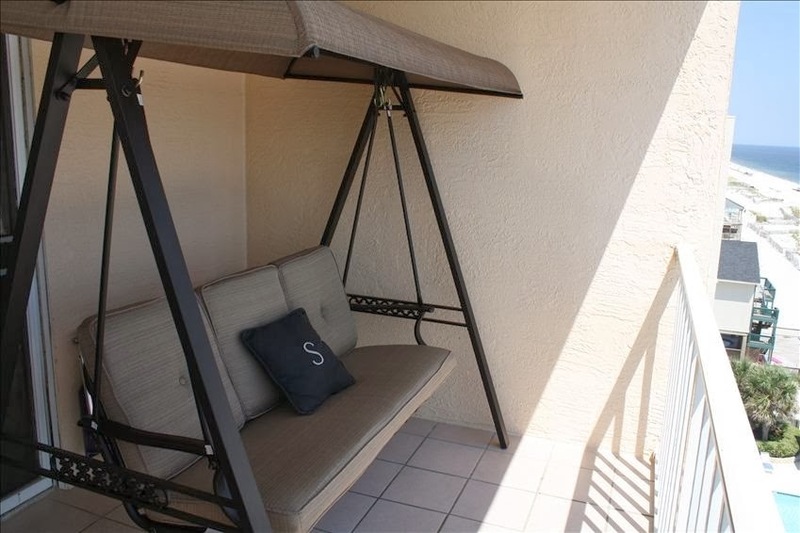 If I am ever headed that way I would rent from someone like you that I trust in a heart beat...Of course I would request that you have the latest addition of FleaMarket Style laying on that porch swing awaiting my arrival lol! 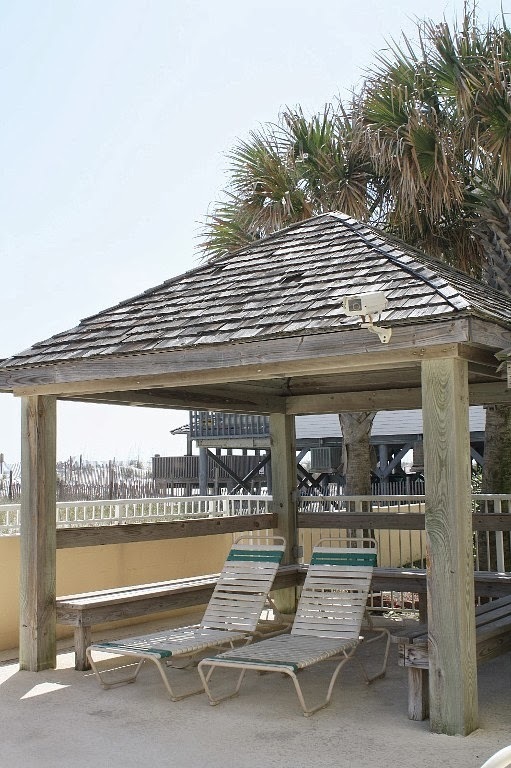 This is the best location on a fabulous stretch of beach! Great restaurants all around too. This looks to die for right now with all the snow here in central Indiana! 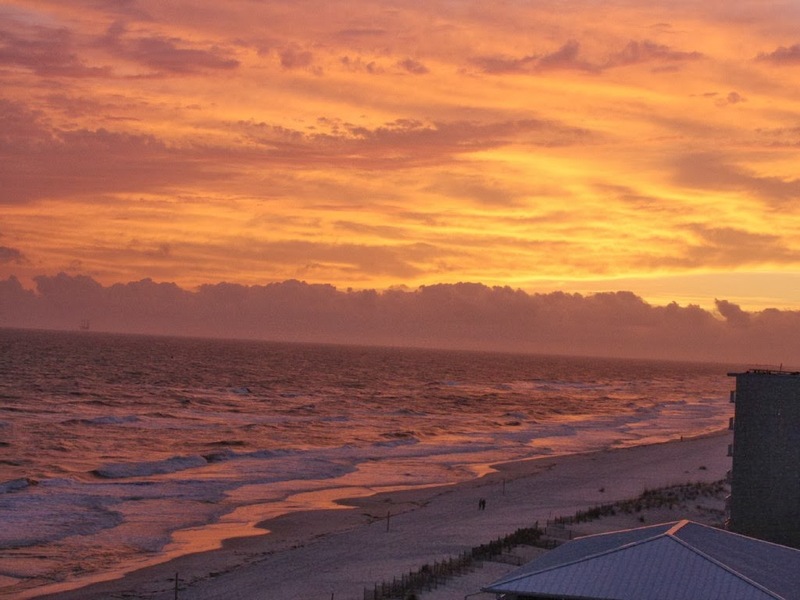 I've been to Gulf Shores once and loved it -- would love to go back! If only I was planning a trip to Alabama in the near future. Gorgeous! Love those built in bunk beds. What a beautiful place to stay! How much do you charge for a week? We've never been to this part of the country and would love to check it out someday! I'll keep you in mind for sure linda! Thanks! Wonderful place you got there! Did you make the grass skirt on the bed? Love that! Wow your condo looks so inviting! Just gorgeous views and that sunset so pretty. What a wonderful vacation spot. and dates available. We are knee deep in snow here and I've had enough right about now. Gorgeous condo and magnificent view!! !...Have never ventured to this area before...I need to put this on my travel list! 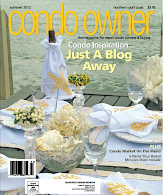 What a beautiful place to visit and the condo looks so cozy and inviting! Who wouldn't want to stay in your place?? Your condo is just beautiful! And those views are stunning! We rent a house on the beach ever summer for a week on the Gulf with so friends we love it, We have been to the same house for 10 years now. I love your place looks Beautiful and has a magnificent view. Charming condo and great views! Your condo is just gorgeous! Might have to visit there next year. Beautiful! Now I have an alternative to Seagrove. 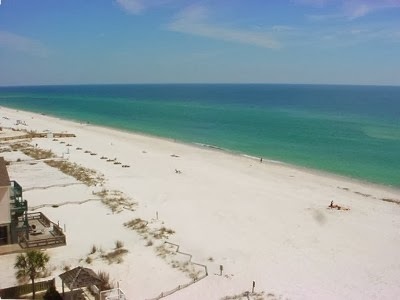 We usually vacation "down the road" at Panama City Beach but I was just saying to my sister that we haven't been to Gulf Shores in ages and we should bring the boys down there. I'll have to keep you in mind, this condo is adorable.